Let’s be honest, maintenance is not the sexiest part of public art, but it is essential. Public art is an investment for the future. The life of an artwork doesn’t end after its purchase or installation date. By staying on top of maintenance you save a lot of time, money and damage down the road. But sometimes maintenance falls to the wayside. Here are 12 ways to ensure that public projects get their due attention. 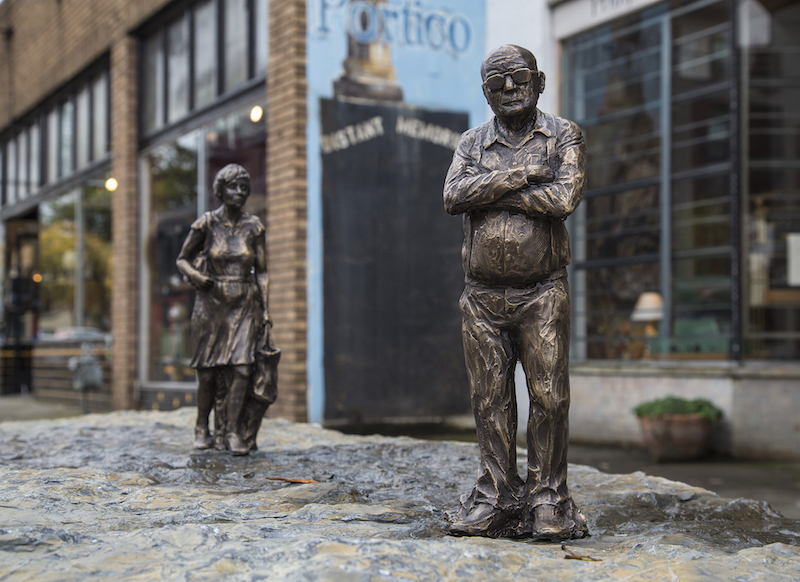 “I think one of the easiest mistakes for an institution to make is failing to plan for the time and resources necessary to maintain works of public art,” says Doug Perkins of Middlebury College Museum of Art. What is typically included in a maintenance plan? 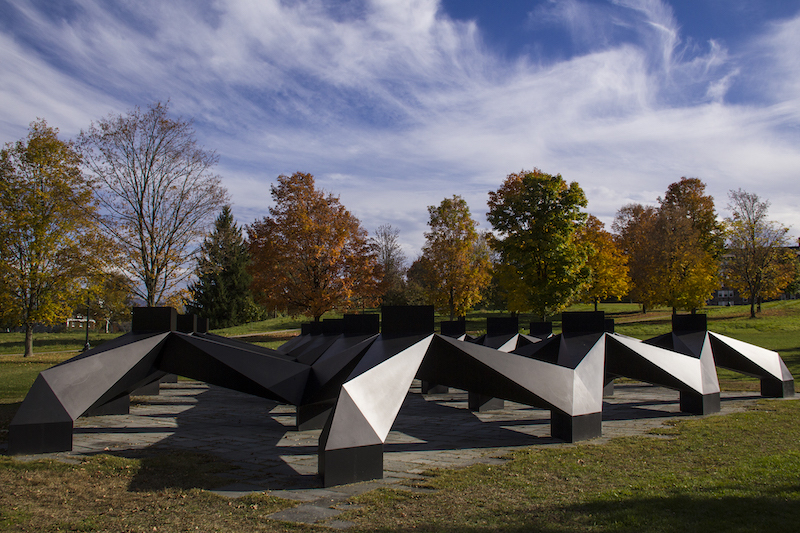 Middlebury College’s Committee on Art in Public Places (CAPP) undergoes a rigorous discussion process that evaluates staff resources, conservator costs and potential hazards. First, they estimate the cost of any upfront conservation. They work up a detailed cost analysis of what’s required to get the work to the campus, to install it securely and to landscape the site appropriately. They discuss ways to keep the work safe from the public (climbing, etc.) and to keep the public safe from the work (ensuring it’s well lit and people can’t accidentally walk into it, etc.). CAPP then creates a plan and timeline for routine maintenance and more substantial conservation needs (repainting, e.g.). They don’t “set it and forget it.” CAPP regularly reviews their long-term financial plan for collection care. Include the maintenance plan in the artist contract. The town of Grand Junction in Colorado requires every artist to give a maintenance sheet that states how to maintain the artwork and what materials should be used. Get more involved with the artists during the design phase. Discuss materials, and if needed, guide the artist to switch out certain materials to reduce the cost of maintenance down the road. And, sometimes you may only have resources and funding in the acquisition phase, so building in maintenance early on is a good move. Janae Huber, Collections Manager for Washington State Arts Commission, shares that their program puts a lot of upfront work in the acquisition phase to make works more durable. They give artists a materials and fabrication handbook to inform the artists about the environment in which they are installing. Include conservators in the design conversation. 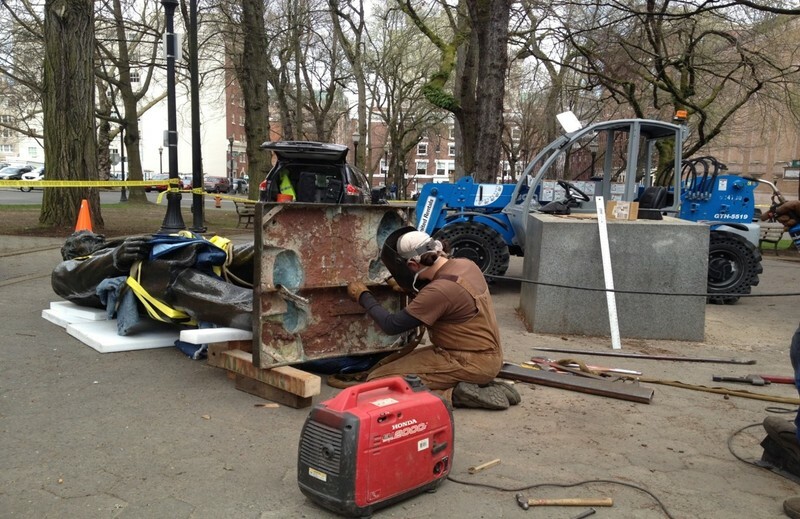 Washington State Arts Commission pairs artists with conservators to advise them on material and installation methods from the first moment of conceptualizing the project. And, the Cambridge Arts Council in Massachusetts has a conservator on staff that is available to all commissioned artists. She provides advice on materials, fabrication techniques, and preventative measures. She also helps the artist think about contextual issues such as the work's susceptibility to vandalism, accidental damage, and environmental deterioration. Allocate a budget for maintenance. The Regional Arts and Cultural Council (RACC) in Portland, Oregon sets aside 10% of its percent-for-art funding for maintenance. Then determine how to allocate the budget. When maintenance budgets are high, get creative. Ok, so you have maintenance funds set aside, but what if that is not enough? Allocate additional time and resources for aging collections. The city of Palo Alto started acquiring artworks in the 1970’s so now they have a lot of pieces that are 50+ years old. “Suddenly you are facing a lot of pieces that need immediate attention. Every piece has its own lifespan and different thresholds,” states Nadya Chuprina of the Palo Alto Public Art Program. That’s why it is helpful to be proactive and start noting down maintenance work that has been done in a central place so that future employees and conservators can properly care for the piece. Consider online collection management platforms like Artwork Archive to keep maintenance records. Lauren Greenfield of Longmont’s Art in Public Places in Colorado enlists 15 volunteers to help survey their permanent collection. Every year they sign up for 3-5 pieces. Their job is to assess the piece, take pictures and create a write up, which Lauren then puts into her Artwork Archive account. The 12 member volunteer art commission in Greeley, Colorado checks on 10 pieces a year looking for rust, chipping, peeling, etc. 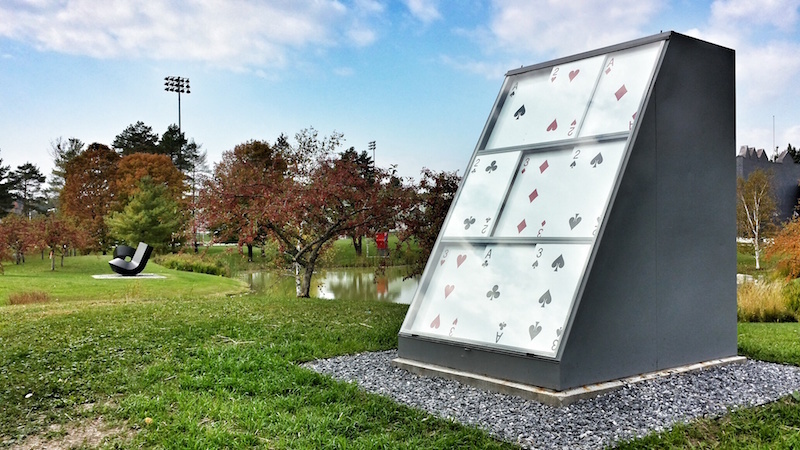 It keeps the Public Art administrator, Kim Snyder, from visiting over 160 pieces a year. Find the right person for the conservation job. You can find conservators through the American Institute for Conservation of Historic and Artistic Works (AIC). Or, join the Americans for the Arts Public Art Network listserv and ask other professionals for professionals they recommend. Kim in Greeley recommends sourcing bids for each project. 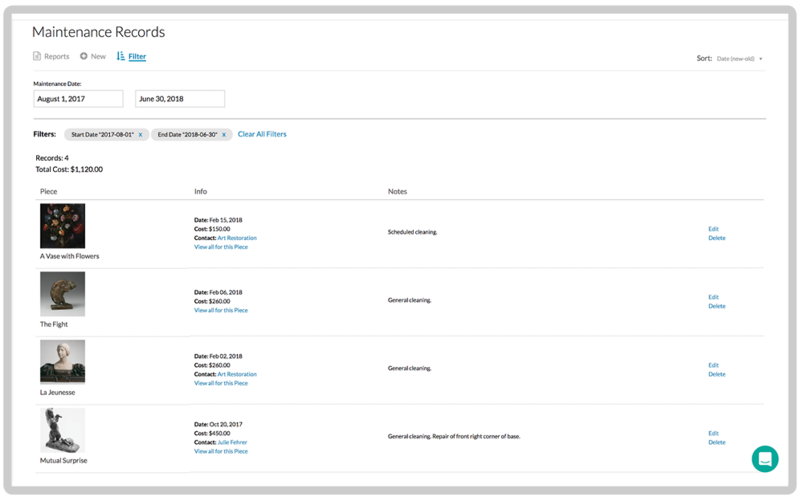 Use online tools to record, track and schedule maintenance. Store important files like invoices, assessments, conservator notes, and images, and have them on hand no matter where you are. Schedule conservation reminders so treatments are not forgotten. Log key contacts like art conservators and art restorers so that there is continuity in care. Create reports that show maintenance costs or maintenance history for individual works of art. Learn from the past and avoid future mistakes with detailed maintenance records. You can help future artists build lasting pieces by keeping detailed maintenance records. Keith of RACC shares the value of having records on hand during the research phase. If an artist comes in and says that they want to create a fiberglass piece with ‘this type of coating,’ he can pull maintenance records to outline what it means to care for that type of piece. Records are also helpful for turnover. When an administrator leaves the program, their knowledge and experience does not have to go with them. Make the case for deaccessioning when the time comes. You can more easily make the case for deaccessioning a piece if you have records that show continued maintenance and costs along with conservator recommendations. And, why do we go through all of this? Maintaining public art ensures that the legacy of the work, the artist and the community will be preserved and continued. You've got the tips. Now get the tools to properly maintain your public art collection. Avoid the nightmare of lost artworks with Artwork Archive’s location tracking tool. All public art requires maintenance; there is no avoiding it. Here are five affordable ways to ensure your collection is properly preserved. Before, during and after: the basics of protecting and caring for your collection when a natural disaster strikes. Access and update your art documentation anywhere.